ROAD TOWN, Tortola, VI- The Virgin Islands has the honourable and proud task of hosting more than 350 Pathfinders, Adventurers and other uniformed bodies from St Croix, St Thomas and St John for the annual VI/USVI Pathfinder Congressoree during the year that the North Caribbean Conference (NCC) of Seventh-day Adventists is celebrating its 40th anniversary of Pathfinder Ministry. NCC was organised in 1975 and begun operations in 1976. Congressoree, which was held last year in St Thomas, will be held this weekend, May 27-29, 2016. The delegation from the USVI began arriving today, May 27, 2016 and a reporter fromVirgin Islands News Online was at the Road Town Ferry Dock when the more then 180 member delegation from St Thomas began arriving. “We hope that the young people will grow more spiritually so that they may get closer to God and that they may also get to make new friends and just enjoy the camaraderie,” commented St Thomas Pathfinder Area Coordinator, Caroline Ryan. Ryan confirmed that the St Thomas count for this year’s Congressoree is 188. The delegation from St Croix and St John were also expected today. 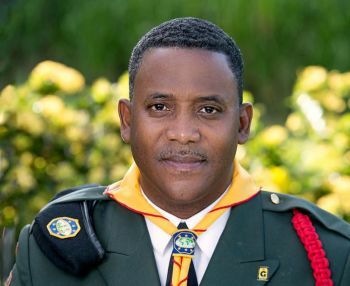 “We are expecting more than 350 Pathfinders from St Croix and St Thomas,” said Youth and Chaplaincy Ministries Director of the North Caribbean Conference of Seventh-day Adventists Dr Vincent A. David, who explained that St Thomas and St John are regarded as one district. Dr David noted that the St Croix delegation was 150 at the minimum and was pleased that they were able to make it to the VI this year after missing out when Congressoree was last held here three years ago. Dr David also said the Investiture Service, March of Witness and the Drum Fest will be some of the highlights of Congressoree 2016. 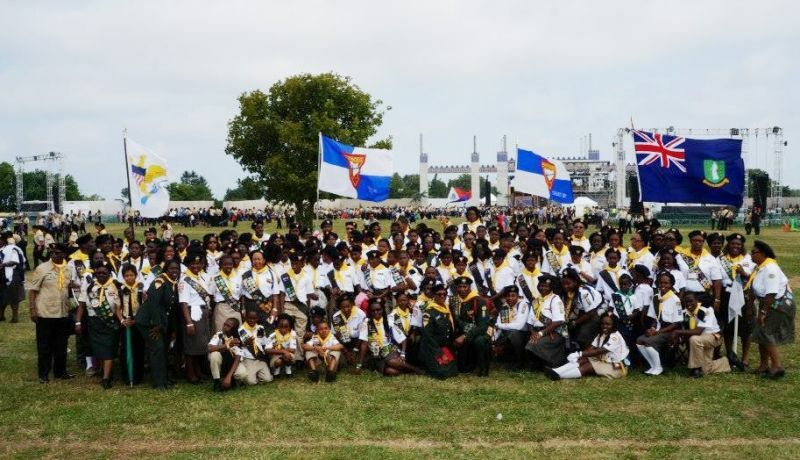 According to a press release from the North Caribbean Conference (NCC) of Seventh-day Adventists, Pathfinders are a worldwide organisation of young people sponsored by the Seventh-day Adventist Church. Young people of any religious persuasion or none at all, are also welcomed and encouraged to join the organization. The opening ceremony for Congressoree will be held at the Multipurpose Sports Complex in Road Town on Friday May 27, 2016 at 7pm and Minister for Education and Culture Honourable Myron V. Walwyn will declare the activities officially opened. Activities include "Champions of the Bible", where pathfinders’ knowledge of the bible will be tested and exhibited. Saturday’s service continues at the Multi-Purpose Sports Complex and the highlight includes the investiture ceremony for pathfinders and other uniformed bodies who have successfully completed the assigned requirement. There will also be a march of witness, which will include all uniformed pathfinders for evaluation purposes and the march pass saluting various government dignitaries. The Pathfinders will display their banners that incorporate the theme of the event and illustrations of anti-drug and anti-violence disciplines. This too will be evaluated. Sunday’s focal point will be an exhibition of basic and fancy drills, along with musical cadences from the drum corps of the various islands. Arts and crafts created by the pathfinders will be on display and for sale. Sunday’s event will be held at the Old Recreation Grounds, in Long Bush. Is that all you could find to say? Pathfinders, enjoy yourselves and have a great and clean spiritual good time. I also pray that just through your actions/activities you will be able to recruit some children from the community..discipleship. Stay safe and may God allow his blessings to shine through you! Love you my little brothers and sisters!